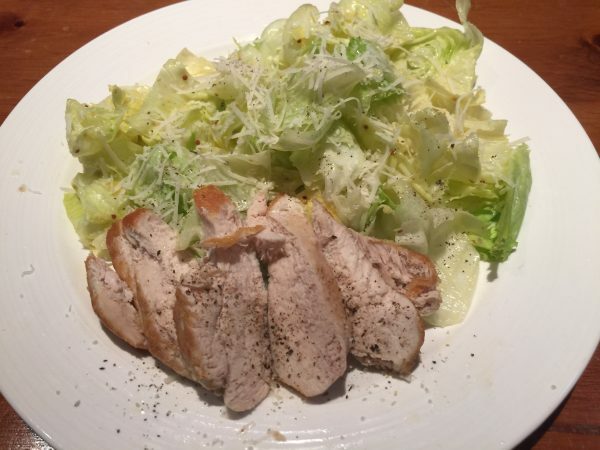 I made this Chicken Caesar Salad last night after I found a head of iceberg lettuce leftover from a delicious taco dinner we had on the weekend. During the summer months our adult children love to come to the cottage on the weekends. Fortunately for M and I, they don’t come empty handed and bring supplies to make a breakfast and dinner for the crowd that shows up. Sometimes they leave mystery ingredients in our fridge. When I found the iceberg lettuce I couldn’t throw it out so I made this creamy Caesar dressing and served the salad with a breast of chicken. 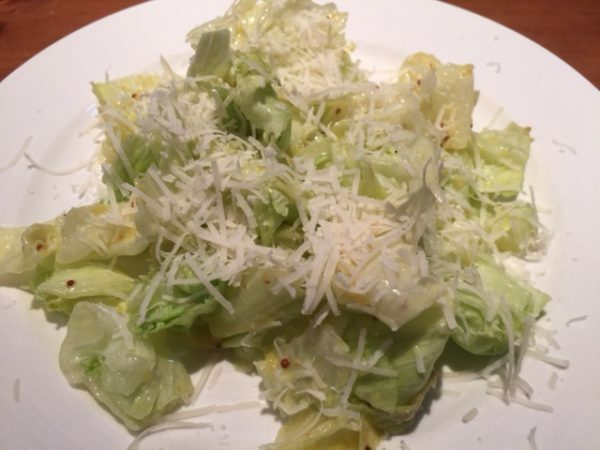 I enjoyed the crispness and crunchiness of the iceberg lettuce and found it a refreshing change from romaine or leaf lettuce. When was the last time you bought an iceberg lettuce? I can’t remember when! I will certainly revisit this old standby when lettuce prices skyrocket in the winter months. Let me know what you think and post your comments below. 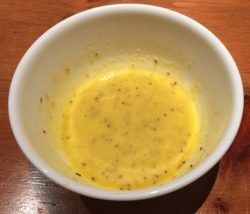 This quick Caesar Dressing gets it's tartness from apple cider vinegar and contains no anchovies ! Beat all the ingredients together except for the Parmesan cheese. Coarsely chop the iceberg lettuce in 1 inch square chunks but don't pull apart. When ready to serve toss the salad with the dressing and place on dinner plates. Garnish each serving with freshly grated Parmesan cheese. I used the whole seed Dijon mustard in this recipe but the smooth style will work too! Enjoy!